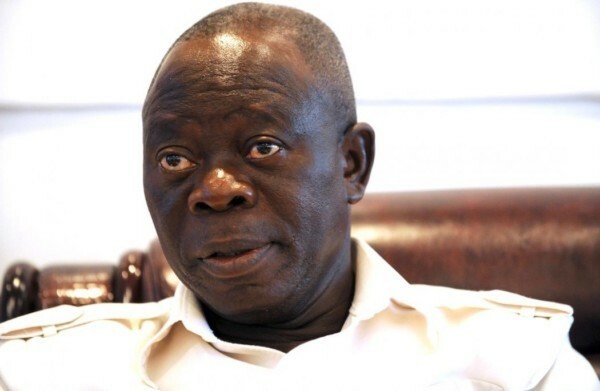 There is a gang-up by some APC members to remove me as the National Chairman – Oshiomhole - SWANKYLOADED OFFICIAL BLOG. Although, it might appear fortuitous to some persons that he became national chairman at the threshold of the 2019 general election; the truth is that there is no accident in predestination. “We must appreciate the fact that it has pleased the Almighty God to place him in the saddle of APC leadership at this time for a purpose. The purpose has begun to manifest in its vast flourish and ramifications: instilling discipline, ensuring party supremacy, promoting due process, dealing with impunity and executive arrogance wherever they manifest to undermine intra-party electoral processes in the states. “From the outset, we never expected that those who cherished and supported the status quo, which Comrade Oshiomhole supplanted, would cave in easily under the magnitude of the current political revival that he spearheads''. ''Indeed, while the progressives are enamoured of change, the conservatives find it difficult to embrace it. That is the current reality in the deliberate effort to rebrand the APC. “Again, we were not, in the least, deluded that the process of rebranding or rewriting the narrative of the four-year-old party would be easy. What we are witnessing in the APC today is Comrade Oshiomhole’s adroit management of the strains and pains that accompany the birth of a resuscitated governing party. “The leadership provided in the recently-held primary elections, and the large-scale integrity of the processes are developments that should hence serve as exemplars in the administration of governing parties. “Indeed, the message therein is very clear that the party, and not pseudo political empires in the states, has the power to superintend the primary elections for the nomination of the party’s candidates in the general election.